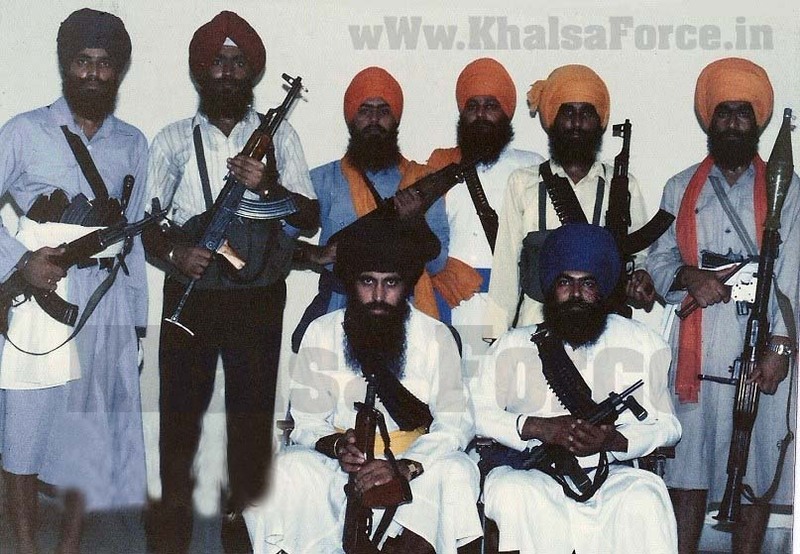 Organized New Jathebandi, The “Khalistan Liberation Force”. The seva and simran of Bhai Avtar Singh and because he was also from village Brahmpura, began to call him Bhai Brahma Singh. After this Bhai Avtar Singh began to be called either Bhai Brahma Singh or Bhai Avtar Singh Brahma. Bhai Avtar Singh was a master of all weapons including swords, spears, pistols and even rocket launchers. For a full 25 minutes Bhai Avtar Singh challenged the CRPF on the speaker and waited for over an hour for them to come out. Not a single person came. The Singhs, seeing that no one was brave enough to face them, left the village while bellowing jaikaras. One of the most famous and effective Khalsa generals to have taken part in the Sikh Liberation Movement was Bhai Avtar Singh Brahma. The name of “Brahma” used to strike terror into the hearts of Indian Security Forces. Bhai Brahma also had a very special relationship with Canadian and other Western Singhs who had gone to fight for Sikh Freedom. Bhai Avtar Singh was a true Nihang Singh of Guru Gobind Singh and when the Panth needed his head, he was prepared to make the sacrifice. Bhai Avtar Singh Brahma was born in 1951 in village Brahmpura, which falls in the Tarn Taran area of Amritsar district. Bhai Brahma’s parents were Sardar Sohan Singh and Mata Chanan Kaur. Bhai Avtar Singh was the youngest of four brothers. His three elder brothers, Sardar Balkar Singh, Sardar Sadha Singh and Sardar Hardev Singh continue to live in the village and farm for a living. Bhai Avtar Singh completed his early education until the fifth grade in the village primary school. After this, he began to work in the family’s farm. In 1966, Baba Daya Singh Ji from the Sursingh Nihang Jatha (Baba Bidhi Chand Dal) came to village Lohar along with his Singhs. There was a week long Gurmat Smagam in which there was an Akhand Paath Sahib, gatka demonstrations and finally at the end, an Amrit Sanchaar. Bhai Avtar Singh and his brother Bhai Sadha Singh worked until noon time one day and then decided to go to nearby village Lohar to see the gatka. Bhai Avtar Singh was so impressed that he decided to become Amritdhari at the Amrit Sanchaar being held. After this, Bhai Avtar Singh began to live a strict Gursikhi jeevan and stayed with the Bidhi Chand Dal. He would only occasionally take a leave from the Dal to meet with his family and parents. The Jathedar of Bhai Bidhi Chand Dal, Baba Daya Singh, saw the seva and simran of Bhai Avtar Singh and because he was also from village Brahmpura, began to call him Bhai Brahma Singh. After this Bhai Avtar Singh began to be called either Bhai Brahma Singh or Bhai Avtar Singh Brahma. Bhai Avtar Singh used to do seva in the langar and also took care of the Dal’s horses. Bhai Avtar Singh was a master of Shastar Vidiya. He could do a gatka demonstration for two hours straight, all by himself. Bhai Avtar Singh was also famous for being able to ride on two horses at once and then stand up, with one leg on each. He would even do a demonstration in which he would lie down on the backs of two horses and have them run at top speed. Bhai Avtar Singh was a master of all weapons including swords, spears, pistols and even rocket launchers. The Singhs were surprised by this claim and challenged Bhai Avtar Singh to prove it. Bhai Avtar Singh brought two horses and while riding one, held the reigns of the other. He began to race the horses and when they had reached top speed, he stood up on both. Bhai Brahma with his neja (spear) then pierced a stake in the ground, which was placed as his target, and threw it up into the air. Everyone watching was amazed at the skill and after this incident, Bhai Avtar Singh became very well known not just among the Nihang Dals, but also amongst the common villagers. 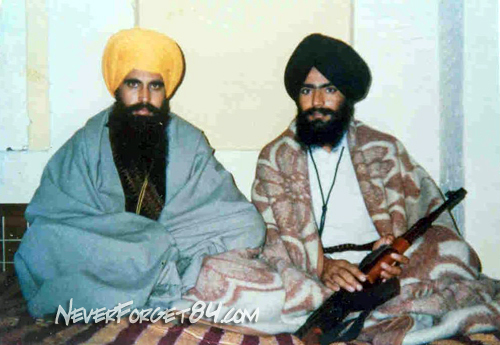 Baba Daya Singh Sursinghvale and Sant Jarnail Singh Bhindranwale were very close and the two used to meet quite often. Baba Jarnail Singh had begun the Dharam Yudh Morcha to fight for Sikh rights and this movement had become very popular amongst the Sikh youth. Sant Jarnail Singh’s words had spurred Sikh pride and revived the Sikh spirit in Punjab. Bhai Avtar Singh too heard Sant Jarnail Singh speak and felt the urge to help free the Sikh people from the clutches of the Brahmin government. Sri Darbar Sahib had been surrounded by now and it was clear that the government was preparing for a fight. On May 30, 1984, Bhai Avtar Singh Brahma and Bhai Amreek Singh Jaura decided that as Khalsa warriors, it was their duty to fight for Sikh freedom. They asked for leave from Baba Daya Singh and after saying their final Fateh to the other Singhs in the Jatha, left Sursingh for Sri Darbar Sahib. Bhai Avtar Singh and Bhai Amreek Singh returned to their villages and waited. Three days later, the Indian Government attacked Sri Darbar Sahib along with 37 other Gurdwaras. 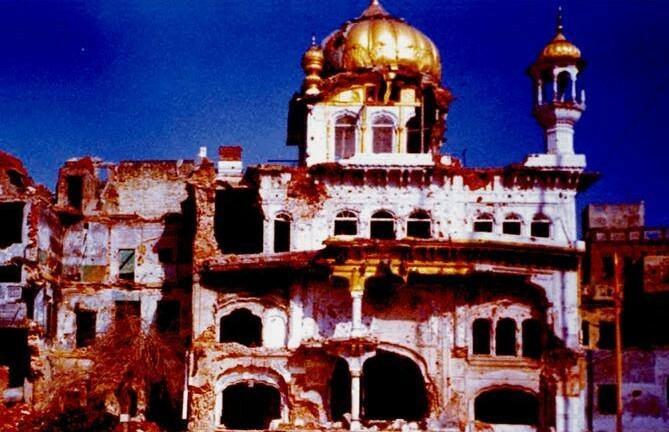 Thousands of Sikhs were butchered and Sri Akaal Takhat Sahib was destroyed. Baba Jarnail Singh had prepared for the next phase of the battle. Singhs like Bhai Durga Singh, Shaheed Manbeer Singh Chaheru, Baba Gurbachan Singh Manochahal, Bhai Sukhdev Singh Sakheera, Bhai Aroor Singh, Bhai Gurdev Singh Usmanvala, etc. had been sent out of the complex to organize the resistance. As promised, Bhai Durga Singh came and met Bhai Avtar Singh Brahma. A meeting had been organized in which a new Jathebandi, the “Khalistan Liberation Force” was created. The central Singhs of this Jathebandi were Bhai Durga Singh, Bhai Kuldeep Singh Muchal, Bhai Gurdeep Singh Vakeel, Bhai Aroor Singh and Bhai Gurdev Singh Usmanvala. Bhai Avtar Singh Brahma was an active Sikh fighter but when Bhai Aroor Singh was captured by the Police and then martyred, Bhai Brahma rose to prominence as he was appointed the next Jathedar of Khalistan Liberation Force. Indian Security Forces had now flooded Punjab. The Central Army, Central Reserve Police Force, National Guard, Border Security Force, RAW, etc. had been deployed in full force in Punjab. These outsiders already had a dislike for Sikhs and now as they began to roam the villages and roads of Punjab, took special pleasure in humiliating Sikhs. Rapes became common and the sight of jeeps filled with soldiers became an all too regular terror. Bhai Avtar Singh decided that these invading Forces had to be taught a Lesson. It was decided by the Jathebandi that a direct war should be waged. When CRPF, BSF or Army jeeps would come on a round, the Singhs would attack. The jeep was either stopped by a bomb and then showered with bullets or simply surrounded by Singhs. Bhai Brahma and the other Singhs surrounded a CRPF jeep. In one instance, in village Baler, The CRPF men tried to flee while firing their guns, but were shot dead. The Singhs stripped them of their weapons and ammunition. The CRPF was furious. They went to village Baler and arbitrarily shot two farmers, Chatter Singh and Hazara Singh. To hide their ineptitude, the CRPF told reporters that in a major encounter, the CRPF men had been killed but they had also managed to shoot two “terrorists.” Bhai Avtar Singh sent a personal message to the newspapers and made clear that those who had been shot were innocent and not part of the Sikh Resistance. The CRPF was put to shame. 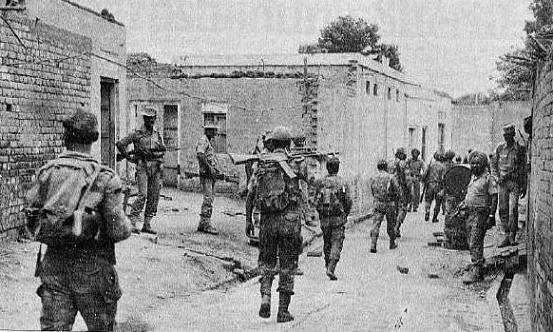 Where before the Indian Security Forces patrolled the streets to terrorize the Sikh villagers, it was now their turn to be terrorized. The Jeeps stopped patrolling many areas. Sikh fighters began to conduct their own patrols and entire areas of the Punjab were under the Khalsa’s control. “Accompanied by the district flood committee members, the Deputy Commissioner began his tour from Harike on the banks of the Sutlej downstream. As the convoy of vehicles containing all the officials was a little short of the last vulnerable point of the Indian side on the river, the team spotted three “babas” (a term used for terrorists) walking in the barata (sandy island on the river course). Initially, there was panic as not many had actually seen a terrorist in real life. The three terrorist who had draped shawls around themselves obviously seemed to be carrying arms and were coming in from across the border as beyond that point was alien land. On seeing the vehicles and the security personnel accompanying the DC, the three did not try to flee but just sat down. According to some, they took up positions. 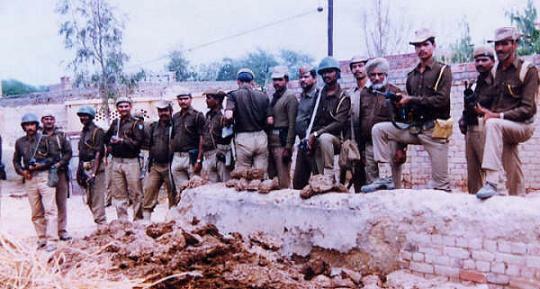 An accompanying Superintendent of Police from Tarn Taran, Dharam Singh, took a few men and advanced towards the terrorists in an attempt to scare them, but the officials of the Irrigation and Drainage Department present suggested they avoid any provocation as very often repair work was being carried out in these areas and if the terrorist were harmed their accomplices would get even with these officials. The SP therefore came back and the plan to go any further for inspection was also dropped. The report also says that Sikh fighters “have also set up their own check points and persons who have to go beyond those points to work in their farms are frisked by them.” It concludes with the story of a CRPF patrol being intercepted by a tractor driven by Sikh fighters and the patrol being fired upon. For the Police, every Singh and every Nihang was starting to look like “Brahma”. As jeeps upon jeeps of Indian Security Forces were beginning to be destroyed, and many areas becoming inaccessible to Indian Security, the Hindustani government was afraid that Punjab was fast slipping away. Bhai Avtar Singh Brahma was becoming more and more well known for his operations against the Indian Government. Where his name was regularly mentioned and discussed in Government meetings, he had also become a folk hero in the Punjab. Village people talked about his bravery and his ability to accomplish even the most impossible of missions. For the police, every Singh and every Nihang was starting to look like “Brahma”. 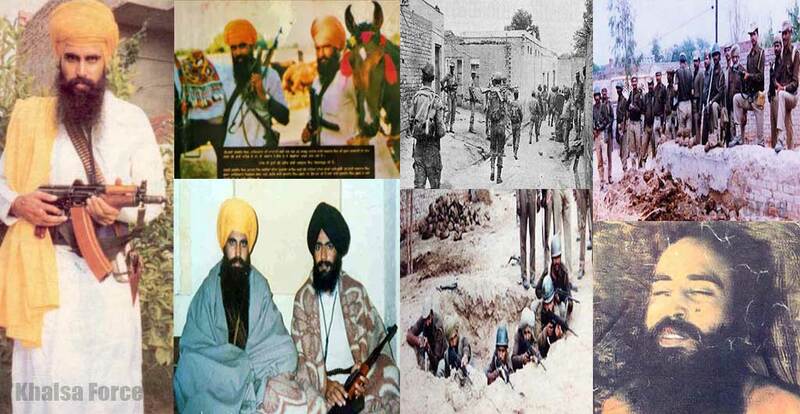 To discredit the Sikh Movement, the Indian Government had introduced gangs of thieves and murderers who dressed like Singhs but committed horrendous crimes upon innocent Sikh villagers. Bhai Avtar Singh made it a priority to punish these criminals. Police Chief JF. Ribeiro met with his Captains and top officers and expressed is frustration that reports were coming that Brahma was called the King of the Mand area and the common people were all helping him and even idolizing him. The villagers would be beaten but even then they would not give any information on Brahma or his companions. Ribeiro ordered that Brahma should be discredited at all costs. Gangs should call themselves “Brahma’s men” and extort money and harass innocent people. People should come to hate the name “Brahma”. They would then help the police capture him. Ribeiro had underestimated Bhai Avtar Singh. Bhai Avtar Singh did not tolerate Extortions. When allegations were made against KLF’s Lt. Gen. Pahaar Singh, Bhai Brahma did a complete investigation and it was proven beyond a doubt that Pahaar Singh had been harassing and extorting money from Sikh families. Bhai Brahma himself shot Pahaar Singh dead and warned the other Singhs that anyone caught harassing innocent villagers or behaving inappropriately with women would be given the same fate as the Lt. General. Bhai Avtar Singh kept a very close watch on politics and made sure the corrupt Akali leadership. He sent them a warning that under his watch, he would not let them commit treachery with the Sikh people. The insincere Akalis became silent and quietly passed the days cursing their fate for having had to deal with someone as incorruptible as Bhai Avtar Singh. He demanded the Sikh politicians be principled. Bhai Avtar Singh was continuing his campaign against the invading Hindustani forces. He was surrounded on many occasions but would escape every time, bellowing insults and challenges at the enemy. One of Bhai Brahma’s most famous encounters occurred in village Manakpur. Bhai Avtar Singh and his fellow Singhs were in the area when the CRPF were tipped off. A total of 20,000 CRPF men flooded the Patti area and began closing in on Manakpur. 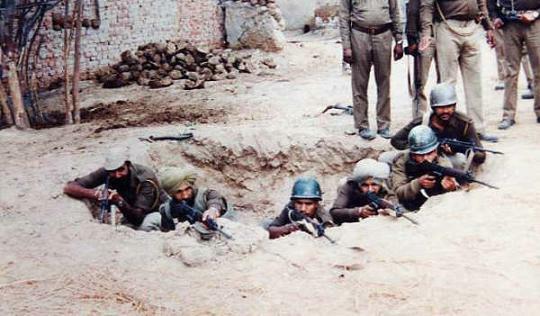 The Singhs were surrounded and decided the only way out was through the ranks of the CRPF. The battle began and so many bullets were cutting through the air that it looked and sounded like a strong rain was falling. A bullet cut through Bhai Avtar Singh’s right hand and severed his right finger. Bhai Brahma was a Singh of the Bhai Bidhi Chand Dal and he called upon Guru Hargobind Sahib to save him like had once saved Bhai Bidhi Chand. It was as though Guru Sahib was himself protecting his Singh. Bhai Avtar Singh’s clothes and dastaar were marked by many bullet holes but his body was not being touched. Although some of the Singhs with him were martyred, Bhai Avtar Singh managed to break the cordon and escaped into the dark of the night. Bhai Avtar Singh would show people his dastaar and clothes from that night and point out the countless bullet marks. People would be amazed and remark that Guru Sahib keeps his Singh today, just like he did in the past. Bhai Avtar Singh was convinced that he had escaped this time only so that he could continue his seva of fighting for Sikh liberation. Bhai Avtar Singh’s exploits were now famous not only in all of Punjab and India, but also in the West. He had become a Sikh Robin Hood and every Punjabi would wait for the weekly newspaper to read about his adventures. Many Sikh in the West were so inspired by Bhai Avtar Singh, that they decided to join him in the Movement. Bhai Avtar Singh supervised a training camp in which Indian Sikhs as well as Western Sikhs were given guerilla training. The recruits would then sneak back into India and join the fight. Bhai Avtar Singh preferred to stay on the battlefield in Punjab but used to go to the training camps at regular intervals as well. 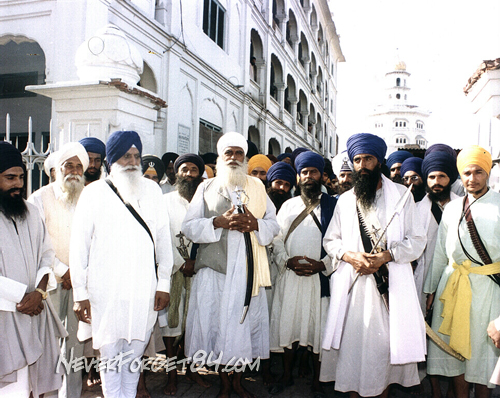 Bhai Avtar Singh served as a personal mentor to many of these Singhs. Some of the more prominent Singhs to have gone and joined the fight from the West and then later become Shaheed were Bhai Harjinder Singh Para, a high school student from Toronto, Bhai Balbir Singh Khera aka ‘Sakheera’ from Calgary, Bhai Mohinder Singh Khalsa, Toronto, Bhai Bhupinder Singh from BC, Bhai Hardev Singh ‘Bapu’ from UK, and Bhai Surinder Singh Ravi, Toronto. Shiv Singh was the Thanedar of village Chola Sahib in the Tarn Taran area. Although he looked like a Sikh, Chiboo was passionately opposed to the Sikh movement and the people became to call him Chiboo Ram. Chiboo was from a backward class and in his newfound position of authority, took special pleasure in intimidating others. He was known as the most foul-mouthed police officer in Punjab and did not care about anyone’s honour, age or position. If someone rang their bicycle’s bell or the horn of a truck or car in the village bazaar, Chiboo would slap them and release a barrage of foul curses. The villagers in the area all were fans of Bhai Avtar Singh and talked amongst themselves about Brahma’s courage and ability. Many used to say that it would be a good day when Brahma finally met Chiboo Ram and punished him for his crimes. Bhai Avtar Singh had heard about Chiboo but said that he should be allowed to enjoy his power for a while since he was after all from a socially low class. Chiboo used to tell him men to be on the lookout for Bhai Avtar Singh and boasted that by killing such a wanted terrorist, he would be promoted to Captain by Ribeiro. The Jatt got up from his seat and promised to arrange the meeting soon. As he left, Chiboo Ram was dreaming of the stars that would appear on his arm if he was successful in killing Brahma. He would become nothing less than a DSP. Bhai Avtar Singh changed into a kurta pyjama and tied a regular dastaar. He picked a team of Singhs to join him for his “meeting”. The Singhs that would come with him were Jathedar Bohar Singh, Bhai Pippal Singh, Bhai Gurdev Singh Usmanvala, Bhai Gurdeep Singh Vakeel and Bhai Karnail Singh DC. The Singhs devised their plan and moved out. Bhai Surinder Singh Shinda went to the police station and asked to meet with Chiboo Ram. He told the Thanedar that he had been sent by the person he had met at the tea stall. He said that Brahma Nihang was on the road to Sarhali and it seemed that he had no weapons on him. Surinder Singh explained to Chiboo Ram that the person he met at the tea-stall would meet him on the road and point Brahma out to him. Bhai Surinder Singh also explained that this was a great opportunity since it wouldn’t require many police officers to catch a defence-less Brahma. Chiboo Ram was jumping with joy that finally he would get Brahma and that too empty handed. He along with four other policemen commandeered a jeep and drove to Sarhali. When they reached a bridge near Sarhali, they saw in front of them Bhai Avtar Singh and Jathedar Durga Singh blocking the way. The Singhs with them were all sitting in their positions. Bhai Durga Singh motioned for the jeep to stop. He walked to the jeep and announced, “Thanedar Sahib, before you stands General Brahma. Take a good look. Do you like what you see?” Bhai Durga Singh then immediately ran to the side and the Singhs, with shouts of jaikaras, opened fire on the jeep. Chiboo Ram was riddled with bullets and the driver of the jeep was killed as well. The remaining police officers were all badly injured and the Singhs removed their weapons and ammunition and made their getaway. The next day, newspapers reported an encounter at the bridge in which the Chola Sahib head of police, Shiv Singh had been killed along with 2 others. Four police officials were injured. The security forces surrounded the area but were unable to capture anyone. The Singhs slipped back into the swamps of the Mand. The legend of Bhai Brahma was growing. Bhai Avtar Singh Brahma’s operations were becoming more and more daring each day and they even became a topic of discussion in India’s Home Ministry. Bhai Brahma was considered “King of the Mand” and so it was decided to send the Indian Forces there to search for him. Police Chief Ribeiro assigned “Operation Mand” to the new IG of the CRPF in Punjab, KP Gill. The date of the operation was set for July 1986. The police expected many Sikh Fighters to come to the Mand for meetings during the local festival for Baba Dargahi Shah. This festival was attended by people of all faiths and the Singhs too gathered during this time to make plans. The Mand was a marshy, forested area that the police could not access, so the CRPF and Punjab Police were deployed in the thousands to surround the area. Ribeiro was certain that Bhai Avtar Singh and his fellow Singhs were in the area and now because of the cordon, could not escape. But still, the problem remained that the security forces could not go in en masse and they were too afraid to go in small groups. The solution chosen was to send in army helicopters to seek and kill the Sikh fighters. CRPF men climbed aboard two helicopters and began to search for Bhai Brahma’s hideout. The helicopters began to hover lower to the ground and below them were hiding Jathedar Durga Singh and his men. The Singhs opened fire on the helicopter with such force and volume that it crashed in flames into the marsh. The pilot and all the CRPF men were killed on impact. The Singhs shouted jaikaray and trained their sights on the next helicopter. The pilot had seen what had happened to his companion and decided his mission was impossible. After trying to avoid fire for a short while, he decided to go back to base. Of all the forces surrounding the area, no one had the courage to enter and attempt to rescue the men who had gone down with the helicopter. As night fell, the Singhs, who were familiar with the area, made their escape. The CRPF and Punjab Police had been completely frustrated and to avoid embarrassment, arrested some farmers who lived around the Mand and claimed Brahma’s men had been captured. The next dayâ’s newspapers carried a statement from the CRPF that one of their helicopters had collided with a tall tree and crashed, resulting in the death of the pilot and the men aboard. Years later, Ribeiro in his autobiography, “Bullet for Bullet” (1998) wrote, “KPS Gill had been inducted as IG, CRPF, in charge of Punjab operations. He was an excellent operations man and it was he who conceived and planned the Mand operation. We faced some criticism from the press since not a single terrorist was caught in the operation” (pg. 283). The police were completely frustrated by Bhai Avtar Singh. They began to take their frustration out on the entire village of Brahmpura. Bhai Avtar Singh’s brothers were special targets of the police but no one was spared. An entire platoon of the CRPF was placed in the village school to terrorise the area. the terrified CRPF platoon cowered in their base. When they were sure that Brahma had left, they came out. They had been shamed in front of the entire village. The CRPF went berserk and decided to take revenge on the Sikh villagers. Families were dragged out of their houses and the women were raped. One woman had her ear bitten off by a crazed CRPF officer. Five women were brought together and their clothes were ripped off. One younger girl ran naked to save herself and spent the rest of the cold December night hiding in the bushes. The CRPF raided Brahmpura’s Gurdwara Sahib and began to shoot at a saroop of Sri Guru Granth Sahib. Once that saroop had been riddled with bullets, another Saroop was taken out of the Gurdwara Sahib and lit on fire. The entire Sikh population of Punjab was horrified and shocked and news of this night of terror even became international. It was demanded that action be taken against the guilty CRPF. Even Ribeiro admitted that what had happened was disgusting and publicly apologized but in his autobiography, he writes, “KPS Gill was then IG of the CRPF. He was not willing to take any action against his men. He approached the home ministry in Delhi to ensure that sanction was not accorded for criminal prosecution. Finally, the Government of India did not sanction the prosecution.” The guilty CRPF battalion was removed and replaced with another. This was the greatness of Indian justice. 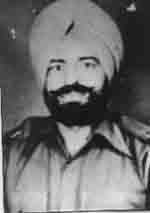 KP Gill was later appointed DGP of Punjab Police because of his ruthless mentality. Bhai Avtar Singh and his fellow Singhs decided to give the Brahmpura incident a suitable reply. CRPF bases were attacked with rockets and blown apart. Bhai Brahma and Jathedar Durga Singh continued to take on all the invading forces and every week news would come of a new guerrilla attack and whole companies being destroyed. The people were all crazy about Brahma and gave him their complete support. Bhai Brahma, when leaving the training camp for the final time had told some Singhs near to him that he would not return. He knew that his Shaheedi was fast approaching. That day finally arrived on July 22, 1988. Bhai Avtar Singh and his fellow Singhs, Bhai Surinder Singh and Bhai Jarnail Singh DC were in Rajasthan near the Pakistan border. They had decided to cross and were staying with a Nihang Singh of the Sursingh Jatha. The Singhs approached the border and as they were about to cross, were spotted by the Border Security Force. The Singhs were surrounded but fought their way out. Again, on a tip, the BSF surrounded them a little distance away and once again the Singhs escaped. The BSF now focused on the field and showered it with bullets. Bhai Brahma was struck in the stomach but despite the pain, continued to battle. The BSF did not have the courage to approach the lone tiger and even in his wounded state, Bhai Brahma was proving deadly. Finally the shooting stopped and the BSF approached the body. As they did to every Shaheed Singh, they ripped Bhai Brahma’s dastaar from his head and stripped off his clothes and took his body to the police station. They were so terrified of the Legend of Brahma, that they could not be assured that this was really him. Photographs of the body were sent to Punjab but no one could confirm the idenity. The Singhs too did not confirm that their General had been martyred. Newspapers debated whether Bhai Brahma was alive or dead and the security forces too could not believe that Brahma had fallen. Only when Bhai Bhupinder Singh Canadian was arrested and he identified the body from pictures did the police finally know for sure that they had got their man. 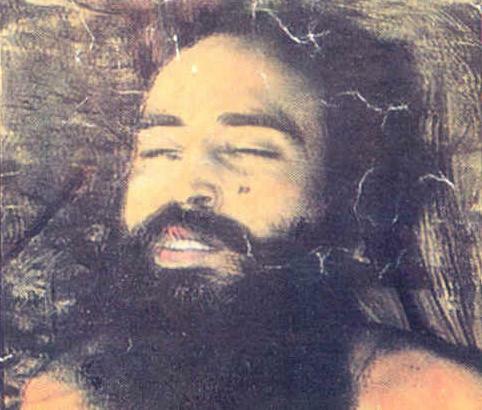 Bhai Bhupinder Singh was also later killed in a fake encounter. An Akhand Paath Sahib in the memory of Bhai Avtar Singh was held in village Brahmpura. Baba Daya Singh, Jathedar of Baba Bidhi Chand Dal hoisted a Nishaan Sahib in his memory. 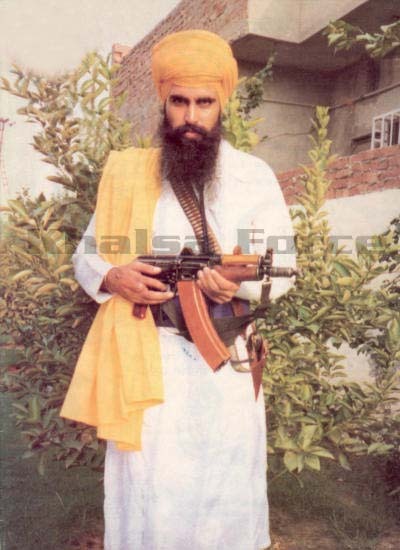 The Jathebandi appointed Bhai Gurdeep Singh Vakeel as the next Jathedar of Khalistan Liberation Force. Bhai Avtar Singh had left behind a strong and principled Jatha of Singhs who continued to be a nightmare for the Indian government. Bhai Avtar Singh Brahma was a legend in the Punjab and during his lifetime, whole areas of the Punjab had become sovereign. Bhai Sahib’s firm Gurmat principles won the hearts of the people and struck terror into the hearts of the Hindustani forces. As time passed, such Singhs became more and more rare and the movement slowed down and finally stopped. May Guru Sahib send us another Brahma in today’s desperate times. ਇਕ ਬਾਰ ਚ ਹੀ ਦੁਸ਼ਮਨ ਫੌਜ ਦੇ ਜਹਾਜ ਨੂ ਮਾਰ ਗਿਰਾਉਣ ਵਾਲਾ ਸੂਰਮਾ Khalsa Raj.